This week’s research hero is prof. Robin Hogarth. Prof. Hogarth has a MBA from INSEAD and received his PhD from University of Chicago. He is currently an emeritus professor at Universitat Pompeu Fabra in Barcelona, where the next SPUDM is being held. 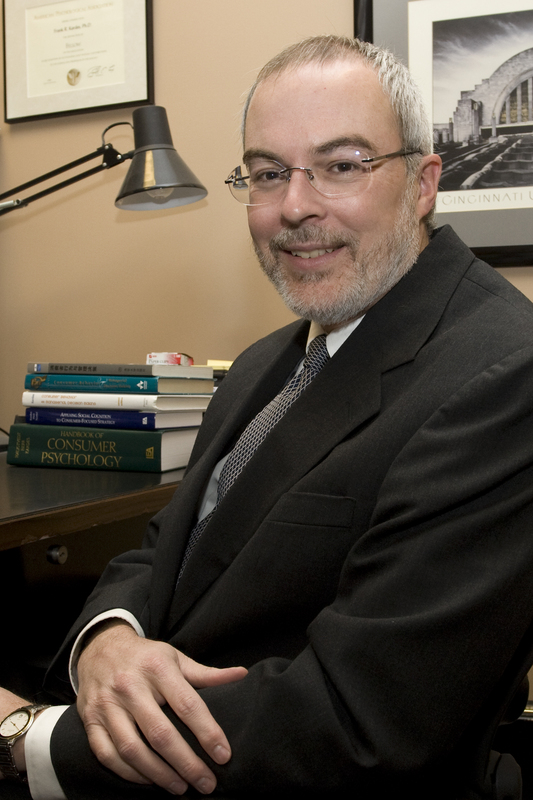 Prof. Hogarth is well-known for conducting interdisciplinary research within judgment and decision making. He has held positions at prestigious academic institutions such as INSEAD, University of Chicago and London Business School. He has been and is still very active in publishing and has authored a large number of articles and books. He has been deputy dean, Director of the Center for Decision Research, and responsible for setting up the University of Chicago’s executive MBA program in Europe. I wish someone had told me at the beginning of my career…only work on what really interests you. I most admire academically…researchers who have a well-developed aesthetic sense of beauty and simplicity for both theory and methods. Hillel Einhorn was one of these people. The best research project I have worked on during my career…was the process of writing my book Educating intuition. It allowed me to synthesize a lot of what I had learned over many years. However, my most fun – and best – projects were when working intensely with Hillel Einhorn in the 1970s and 1980s. The worst research project I have worked on during my career…was a project about evaluating management education programs. I undertook this for all the wrong reasons and should never have started it. The most amazing or memorable experience when I was doing research….was when I first found that people were actually citing my work. This made me realize how important it is to get things “right”. The one story I always wanted to tell but never had a chance…I really hated being a PhD student at the University of Chicago. That stimulated me to complete my PhD in a short time in order to move onto the next stage of the academic ladder. A research project I wish I had done…There are too many! If I wasn’t doing this, I would be…an unhappy (but probably rich) retired accountant! The biggest challenge for our field in the next 10 years…Improving our methodological practices so that our theories can lead to results that can be generalized better. This week’s research hero is professor Paul Slovic. Prof. Slovic received his PhD from University of Michigan and has been one of the pioneers in methods to measure risk. He studies fundamental issues such as the influence of affect on judgments and decisions, the factors that underlie perceptions of risk. He has a large number of publications in not only the area of risk but also compassion and genocide. He is the founder and President of Decision Research, and has received numerous awards such as the Distinguished Scientific Contribution Award from the American Psychological Association. I wish someone had told me at the beginning of my career… Actually, I’m very glad no one did tell me, when I took my first job at the Oregon Research Institute, how hard it would be to live off soft money from grants and contracts for close to 50 years. I might not have taken the job. Despite the challenges, I have no regrets. I most admire academically… There are many JDMers who I very much admire, including the fine colleagues I have been fortunate to work with. But, like many others, I have a special admiration for Amos Tversky and Danny Kahneman. I always had an interest in applying JDM research to important societal problems and when Amos and Danny began to do their simple but elegant heuristics and biases studies of judgment under uncertainty, I immediately was motivated to extend their findings into the realm of what Sarah Lichtenstein, Baruch Fischhoff, and I later termed “societal risk taking”—in particular nuclear and chemical safety and finance. It was great fun exposing people from other disciplines to this fascinating and important behavioral research and I have continued doing this throughout my career. My favorite research project… is always the one I’m working on at the moment. But, looking back on many favorites, I have a particular fondness for the preference-reversal studies done with Sarah Lichtenstein. They began serendipitously, when, as part of a larger study, we happened to compare two response modes for evaluating gambles and found they were highly inconsistent. This was only an incidental part of the study we were doing, but we took that finding and ran with it. 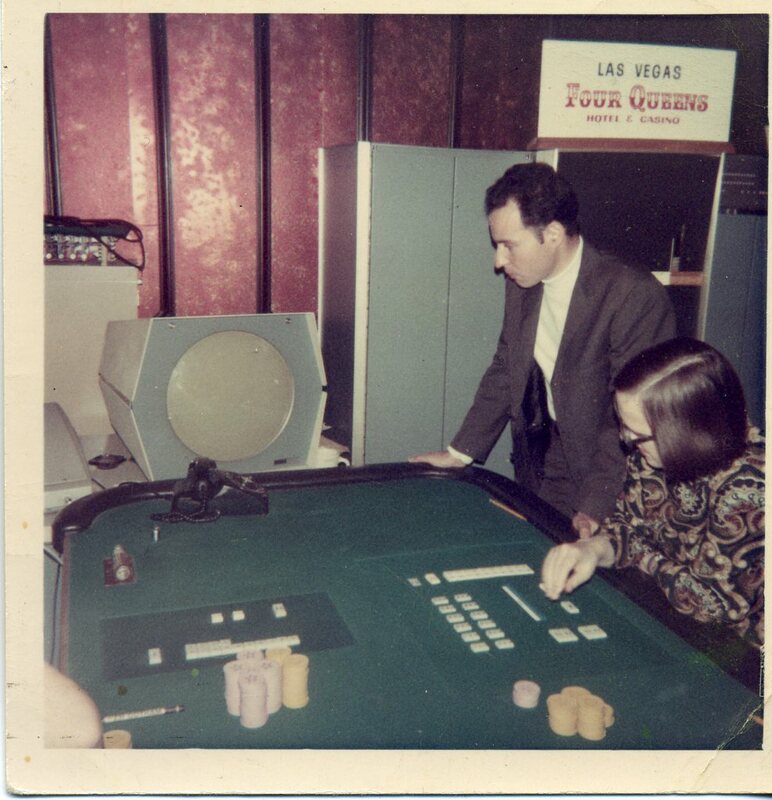 We then had the exciting opportunity to replicate our research on the floor of the Four Queens Casino in Las Vegas. The results, demonstrating what was later called “a violation of procedure invariance,” greatly threatened and annoyed economists who believed pricing and choice should be equivalent indicators of preference. They launched numerous studies “to discredit the psychologists’ work as applied to economics.” They failed. Over time this research led us to a broader perspective that we named “the construction of preference”. Most memorable experience… Watching Ward Edwards try to impress the manager of the Four Queens Casino in Las Vegas regarding the studies we wanted to run on the casino floor. Ward had a notebook of gamble pairs, simulating an experiment we planned to run on a computer. “Which of these two (very different) gambles would you prefer to play?” asked Ward. “I’ll take A,” said the casino boss. “But you didn’t even look at the gambles,” responded Ward, with a mixture of surprise and annoyance. “I feel lucky with A,” was the reply. Another pair was offered—again an instant choice of A. “I won with A last time, so I went with A again,” was the explanation. So much for rational weighting of probabilities and payoffs by a man in charge of a major gambling enterprise. The manager was not impressed with us academics either, but we were allowed to take up valuable floor space and run several experiments. Despite having no “house advantage”, they were the most unpopular games in the casino because they required players to think and make tradeoffs among the dimensions of gambles. If I were not doing this… I would be a human-rights activist. There seems no end to the abuses of human beings being perpetrated around the world. And I have come to see that JDM research has relevance for motivating people to care about helping others and for designing procedures, laws, and institutions to aggressively address these abuses when compassion fatigue sets in. I’m working at this now but I wish I were better prepared to employ JDM findings to stop human-rights violations. The biggest challenge facing the field in the next decade is… maintaining its identity in the face of the ever-increasing fragmentation of disciplines. Will it become subsumed under “behavioral economics”? I hope not. I would not like to see JDM subsumed under behavioral economics because JDM is applicable to all human judgment and decision contexts and is thus broader in scope than economics. Also, in my opinion, psychology is at the core of JDM and I would not like to see that perspective diminished. Another challenge is to demonstrate the centrality of JDM research for yet another emerging discipline, “behavioral public policy” (see, e.g., Eldar Shafir’s new book on that topic). My advice for young researchers is… run experiments and collect data. Don’t feel you necessarily need an elegant theory or well-identified hypothesis before you can do a study. Having a good question to answer is enough to motivate a study. I have found that collecting and analyzing data is an aid to thinking about a problem. New insights often emerge that one might have come to by thinking hard, but instead emerged from puzzling over data. Theoretical development and hypothesis testing can then take root from those insights. And be alert for incidental findings that may be even more important than what you were originally looking for. Baruch Fischhoff is one of the best known names when it comes to risk and JDM. He received his PhD in psych ology from the Hebrew University, Jerusalem, Israel and also holds a BS in mathematics. Currently, he is the Howard Heinz University Professor in the departments of Social and Decision Sciences and of Engineering and Public Policy at Carnegie Mellon University. He has served as the president for the Society for Judgment and Decision Making and of the Society for Risk Analysis, and recipient of its Distinguished Achievement Award. He was founding chair of the Food and Drug Administration Risk Communication Advisory Committee and recently chaired the National Research Council Committee on Behavioral and Social Science Research to Improve Intelligence Analysis for National Security. He is also a Fellow of the American Psychological Association, the Association for Psychological Science(previously the American Psychological Society), the Society of Experimental Psychologists, and the Society for Risk Analysis. He has authored numerous articles and co-authored/edited seven books, including Risk: A Very Short Introduction. I wish someone had told me at the beginning of my career… How important it is to listen to people, in order to understand the decisions that they are facing, so that we have the best chance of helping them. For example, Julie Downs, Wändi Bruine de Bruin, and I were able to create an interactive DVD, helping young women with sexual decisions, partly because we conducted open-ended interviews that allowed us to hear them describe how coercive many social situations were. Much of our intervention focuses on empowering young women to assert their right to make decisions. I most admire academically… My doctoral advisors, Amos Tversky and Danny Kahneman. Along with Maya Bar Hillel, Ruth Beyth-Marom, and a few lucky others, I had a front-row seat as they thrashed out the early stages of their joint work. As a bonus, I followed the development of “Features of Similarity” en route to the Hebrew University squash courts with Amos. And my post-doctoral advisors, Paul Slovic and Sarah Lichtenstein, who helped me to consolidate my craft and encouraged me to engage messy problems. The best research project I have worked on during my career… Lita Furby and I worked together on producing responsible advice for women on how to reduce the risk of sexual assault – advice that was faithful to the diversity of women’s circumstances and to the (limited) evidence regarding the effectiveness of self-defense strategies. I learned something general about imposing reasonable structure on complex problems. I’d like to think that we did some good. The worst research project I have worked on during my career… Since the late Carter Administration, I’ve worked sporadically on decision making about nuclear power. I’ve given talks, published papers, and even co-authored a book (Acceptable Risk). However, it’s hard to see that the work has any impact on the industry – other than occasionally seeing its people spin our research to support their position (e.g., how an irrational public cannot be trusted with such decisions). The most amazing or memorable experience when I was doing research…. In 1976, Paul Slovic wrangled me an invitation to one of the first interdisciplinary meetings on risk analysis, at the State of California’s Asilomar Conference Center. The topics of the talks were extremely varied (e.g., nuclear power, recombinant DNA, liquefied natural gas). However, all seemed to be making unrealistic assumptions about human behavior (e.g., how vigilant would operators be, how much did experts know, how strongly would regulations be enforced). I concluded that we behavioral and decision scientists had something to say everywhere, but only if we collaborated with people who really knew the problems. I wrote up my thoughts (in “Cost-Benefit Analysis and the Art of Motorcycle Maintenance”), which, remarkably, got published and opened other doors. 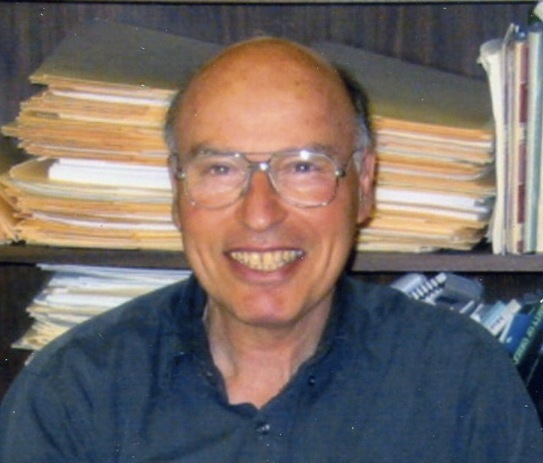 The one story I always wanted to tell but never had a chance… As an undergraduate math major at Wayne State, I got to be an RA for the late Samuel Komorita, who was doing some of the earliest studies in behavioral game theory. My job included giving standard (and sometimes false) feedback in a prisoner’s dilemma game, in the form of red or green lights. At the debriefing session after one pretest, a subject (as participants were called back then) revealed having discovered our deception, by seeing the reflections of the lights off the glass bookcases in the room (in the basement of Old Main). Sam quickly fixed that. A research project I wish I had done… Along with Danny, Paul, Dave Schkade, and others, I was part of the “contingent valuation wars,” waged over resource economists’ naïve, but often well-meaning attempts to monetize “intangible” environmental changes by asking people what they would pay to make those changes happen or stop. Eventually, we wore one another out. Had we persisted in those engagements, though, we might have produced some useful insights into how people “construct” values for the strange questions that such studies pose. If I wasn’t doing this, I would be Perhaps a political activist. My wife Andi and I went to Israel with the intent of living our lives on a kibbutz, whose ideology disparaged the academic world. When that didn’t work out, we went back to school, somewhat half-heartedly. I then had the amazing good fortune to be swept up in the work of Danny, Amos, and the people around them. A political mentor, Reuven Kaminer, helped me to realize that our values inevitably shape our choice of problem; after that, though, the rules of science must prevail – creating the chance of serving science and society. The biggest challenge for our field in the next 10 years.. Making ourselves more central to the places where the policies, programs, and products that shape our world are created. Often, we’re consulted only when there is a “people problem,” with the hope that we can somehow deliver the public, by informing or manipulating them so that they behave in desired ways. I’d rather see us in at the start, designing environments that help people to identify and achieve their own goals. My advice for young researchers at the start of their career is Decide whether to view academic work as a job or a calling. If it is the former, then the criteria for success are clear, even if the pathway is uncertain. If it is the latter, though, then one must keep asking whether the constraints of the academic world preclude doing work that one finds meaningful – and, if so, how to bend or escape them. 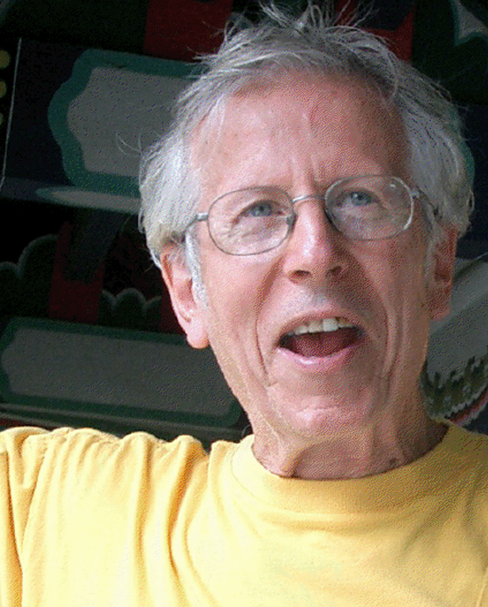 This week on Research Heroes we have Robert S. Wyer who is visiting professor at the Chinese University of Hong Kong and Professor (Emeritus) at the University of Illinois, Urbana-Champaign. 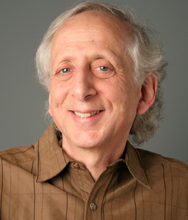 In addition to having recently been cited as having published the greatest number of articles in the Journal of Personality and Social Psychology in the 30 years since its inception, he has received numerous awards, including 2011 Distinguished Scientist Award from the Society of Consumer Psychology, the 2008 Distinguished Scientist Award from the Society of Experimental Social Psychology, the 1998 Thomas M. Ostrom Award for Distinguished Contributions to Person Memory and Social Cognition, and the Alexandr von Humboldt Special Research Prize for Distinguished Scientists. His research interest span social information processing, including knowledge accessibility, comprehension, memory, social inference, the impact of affect on judgment and decisions, attitude formation and change, and consumer judgment and decision making. I wish someone had told me at the beginning of my career… That I’d still be doing teaching and research at the age of 77. I most admire academically… Bill McGuire, who is regarded by many (including myself) as the most influential social psychologist to ever emerge in our field, has been my role model since the early 1970s and continues to be. Bill is well recognized as the true “father of social information processing,” and his early work in isolating the different stages of processing that underlie the use of information in making judgments was the inspiration for my own work. There is no need here to document his numerous empirical and conceptual contributions to the field; his influence cuts across not only social psychology but also political science and consumer behavior. 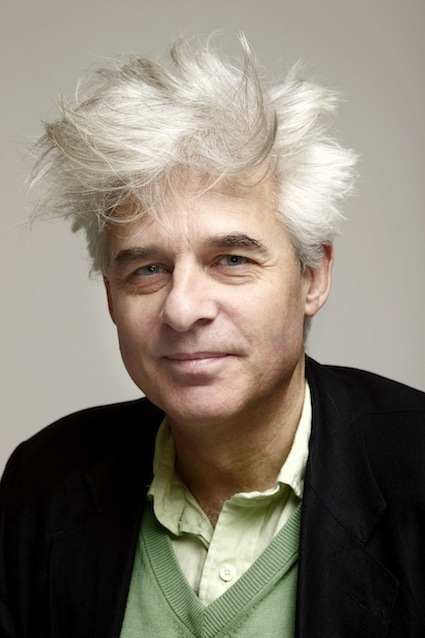 But his more intangible contributions to my career have been profound. McGuire was an editor of JPSP during the early 1970s and is still recognized as one of the best journal editors the field has seen. His ability to identify the good things about a paper rather than the bad things, and then helping the author to realize the paper’s potential, served as a model that I tried to emulate in two editorships I have had. But an anecdote may suffice to convey the impact that he has had on my career and many others’. I was a very naïve young psychologist back in 1968; almost 6 years past my Ph.D., I was still floundering, and wondered whether anyone had even read any of the work I had done, to say nothing of whether they cared about it. During this period of self-doubt, I submitted a paper to the Journal of Personality and Social Psychology that Bill handled as editor. I cannot recall his reactions to the paper itself. However, he undoubtedly called attention to several instances of conceptual and expository sloppiness, because I wrote back a note apologizing to him for putting him through the ordeal of evaluating it. I immediately received a response from Bill that made my day and, ultimately, my career. I cannot recall his exact words, but they were to the effect that he and others had “assumed” that I knew I was a good psychologist, and that it was only in this context that they bothered to take the time to “carp” about the things he had noted in his review. Leaving aside the fact that his earlier comments were hardly “carps,” this was the first time that anyone, let alone someone as eminent as Bill McGuire, had conveyed any interest whatsoever in anything I had done. His encouragement to me at this critical point in my career gave me the self-confidence to persist. Many years later, it still inspires me during times of disappointment and self-doubt. It is perhaps for this, more than anything else, that I am indebted to this remarkable psychologist and equally remarkable human being. The best research project I have worked on during my career… This is hard to say. One project I’ve always liked, however, was one that had minimal influence on the field, and concerned emotional communication in married couples. Galen Bodenhausen, Lisa Gaelick, and I had couples discuss a problem they were having in their relationship and then, in later sessions, identified significant things that one another had said and rated the love and hostility the statements conveyed. Two interesting findings. Partners typically tried to reciprocate the feelings they perceived one another to convey. However, persons accurately perceived the hostility that their partners conveyed but were inaccurate in perceiving expressions of love. One implication of this, of course, is that hostility escalated over time. The other interesting finding was that when a woman intended to convey a neutral emotion, her husband interpreted it as an expression of hostility, but when the man intended to convey a neutral emotion, his wife interpreted it as an indication of love. I’ve always liked this study, although it is quite different from most of the work I’ve done. The worst research project I have worked on during my career… That’s also hard. I think that almost all research projects I’ve been involved in have been informative. My motivation to do research is to answer a question I think is interesting, and I pursue it until I have an answer that satisfies me personally, although perhaps not a journal editor. The most amazing or memorable experience when I was doing research…. I don’t think it’s amazing but it’s memorable and repeats itself often—the experience of seeing graduate students’ excitement when they suddenly have a new insight into a phenomenon that they want to pursue. Witnessing this excitement and enthusiasm never ceases to be rewarding. The one story I always wanted to tell but never had a chance… My mind is a blank. A research project I wish I had done… This may be a null set. I have always pursued whatever interests I and persons working with me have at the time. If I wasn’t doing this, I would be either a sportswriter or a jazz musician—areas I was excited about until my father convinced me I should go to college. The biggest challenge for our field in the next 10 years.. No idea. My advice for young researchers at the start of their career is to pursue their personal interests and to maintain the excitement about research that led them to get into the field in the first place. This is hard to do given the negativistic orientation that pervades journals these days. There is obviously nothing more discouraging than to do some research on a question that you are really interested in and come up with answers that you’re really excited about, only to submit it for publication and have it rejected because “it doesn’t make a contribution.” You have to have a thick skin and confidence in your own abilities and interests, and do NOT let journals dictate these interests. We are proud to present this weeks research hero: Prof. Elke Weber, the Jerome A. Chazen Professor of International Business at Columbia Business School and Professor of Psychology and Earth Institute Professor at Columbia University. Prof. Weber received her PhD from Harvard university and has ever since served as President for SJDM, been reviewer for the Nobel Prize in economy, received numerous awards and honors, and published immense number of high impact papers and book chapters. Prof. Weber´s research interest is in decisions under risk and environmental decisions, especially in the intersection of psychology and economics. to study economics, at least in addition to psychology. The formal modeling of economics disciplines theory formulation and the shared set of assumptions and goals makes its research much more cumulative. And God knows, the field could have used someone with an interest in realistic assumptions about human judgment and choice 30 years ago. I most admire academically… researchers like Duncan Luce, Jim March, Lin Ostrom, Howard Raiffa, Herb Simon, and Amos Tversky, who over their lifetime perfected the art of addressing important and challenging problems with elegant models and frameworks that illuminate and surprise despite, and perhaps because of, their simplicity. The research contribution I am most proud of … is the distinction between risk perception and risk attitudes as separate determinants of risk taking. The idea that risk is a psychological variable (perceived risk) and thus influenced by previous experience and context (giving rise to gender, age, cultural, and domain differences) and is mediated by affective processes (risk as feelings) took a while to catch on. Getting economists to acknowledge that differences in perceived risk rather than (or in addition to) differences in risk attitude drive observed differences in risk-taking is still a work in progress, but practitioners in many areas (from financial services to medical and environmental risk communication) have strongly embraced this work and the Domain-Specific Risk-Taking (DOSPERT) scale that it generated. I am also proud of introducing the distinction between decisions from experience and decisions from description (in a collaboration with Sharoni Shafir at Ohio State, later fleshed out in a productive year that brought Ralph Hertwig and Ido Erev to Columbia), which has generated a cottage industry of new research. The worst research project I have worked on during my career… If something is not working out, either because the hypotheses are wrong or collaborator personalities are mismatched, give it a second chance, but then move on. The most amazing or memorable experience when I was doing research….was my first very experiment. The visual perception professor in whose lab I worked as an undergraduate RA let me design the study (on cyclopean vision), buy LEDs at Radio Shack and plywood and black drapes at Canadian Tire, solder up the apparatus, run the subjects, enter the data and do the statistical analyses, and help in writing up the paper. I was hooked on the scientific method from Day One and discovered that I had the data gene. The study was published in JEP:HPP without any request for revisions, an event, my professor correctly predicted, would never happen again. I also knew by the end of the study that the questions about perception and action that I wanted to answer had to be bigger than the human eyeball and its connection to the brain. My path to psychology and behavioral decision research has been circuitous. Seasickness and lack of a parental vineyard put an end to early career aspirations in Germany, marine biology and oenology, respectively. Dissatisfaction with a year of jurisprudence at the University of Heidelberg and general German intransigence brought me to the new world and to a switch in my reading, from Sigmund Freud and Marcel Proust to William James and Walt Whitman. And you already know about my cyclopean vision period! I am not big on either envy or regret, life is too short. building bridges. I always imagined myself apprenticing with Santiago Calatrava and commuting between Barcelona, Berlin, and Buenos Aires. But after reading previous Research-Hero blog entries, I now know that I could just start a firm with George Loewenstein. In some sense I have been building bridges most of my life, between cultures and between disciplines, most recently by introducing alternatives to rational expectations and expected utility maximization into the U.N. Intergovernmental Panel on Climate Change (IPCC) process and into its Fifth Assessment Report. to integrate theory and insights about human judgment and choice across levels of analysis, from (epi)genetics to neurochemistry and neurophysiology, from brain activations to behavior, and from individual and group decisions to political and social processes. My advice for young researchers at the start of their career: Step back before starting any study or program of research to consider whether the question you are asking is big enough. Don’t waste your time on incremental stuff, but find an important problem that matches your skills and interest. Once you have found that, it also pays to persist. Acknowledgement of the value of new ideas can take a while.